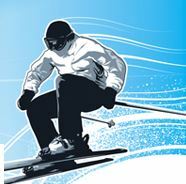 The Winter Olympics are here – is your network ready? Views expressed in this post are original thoughts posted by Dean Goldhill, Network & Security Specialist, Netutils. These views are his own and in no way do they represent the views of the company. During the London 2012 Olympics, 60% of all corporate Internet traffic was utilised by streaming video and mobile devices to access live sporting events. The Olympic Games whilst being a unique event, in some instances, had the effect of highlighting network problems that already existed. The result being that some company networks just simply couldn’t cope with the increase in network traffic as users tried to stream video of the games or use personal applications at work and business critical applications suffered as a result. But the issues highlighted by the games should not just be seen as isolated events; there are many other reasons why your network may experience a bandwidth spike and downtime can be costly and time consuming. So with the Winter Olympics now in full flow and to ensure Sochi 2014 streaming doesn’t jeopardise your key apps take a look at this blog where we walk you through a typical example of a company who experienced network issues during the 2012 Olympic Games. Background: The set up at this branch office allows employees to work from one branch and connect back to the servers in their own branch offices. So for all these users all traffic, mail server, Intranet, SharePoint etc. all has to go via the VPN/Internet. When the Olympic Games started, users started complaining about slow, unreliable service for business critical applications. And it wasn’t immediately as the games started, it was as the word spread around the building, and more and more people started watching the games online. Normal business service just got worse and worse until about the middle of the first week when users started reporting that they pretty much couldn’t work at all. The issue affected about 100 users in total and that’s quite a loss of productivity! The challenge for this company was that they had a lack of network visibility, they couldn’t see what was causing the issue and they had no control over how to fix it. Solution: Following our initial site inspection and investigation we discovered that the issue was that internet bandwidth was being chewed up by people watching the Olympic Games online. Another factor which made a solution trickier was that the broadcaster streaming service used for the games coverage does not use the video streaming protocol like most other services. Instead it transmits over the regular HTTP (port 80) so the affected company’s proxy server which is configured to stop regular users using video streaming services, was not stopping any users from streaming content like the games. Furthermore, it was very difficult to block the streaming services because the broadcaster use a large number of IP addresses for load balancing, and we also did not want to be to block the service from the broadcaster altogether. We successfully managed to find the actual URL for the video streaming servers and blocked it via their proxy servers. This effectively stopped the vast majority of users from streaming the games. But the point here is that ideally, we don’t want to block these services by using URL’s, we want to block them by using a product that understands the traffic at the application layer (layer 7) and is able to block (or control) them irrespective of where the traffic is coming from or what protocol is being used to deliver it. Regardless of whether your company applications are network or cloud based your network is likely to face performance challenges often exacerbated by events like the Olympic Games or BYOD. As a result more & more companies across a variety of industries are investing in online tools, resources and portals that deliver continued control, actionable performance insights & user driven application optimisation. To ensure Sochi 2014 streaming doesn’t jeopardise your key apps, download our whitepaper ‘5 best Practices to Prepare Your Network for the Sochi Olympics’ and get 5 tips to help you keep your network running. Puzzled by how to get more WAN optimisation power for your pound? Welcome back to the Netutils blog. As we start 2014 we have become preoccupied with thoughts on how we can be more efficient, more effective and get better value for money when delivering services and solutions to the business and this got us thinking about how we can help you to make smarter network decisions and lower your bandwidth expenditure. So with that in mind we kick start our blog with some thoughts on network visibility and this blog post from Malcolm Orekoya, Senior Technical Consultant at Netutils on the 5 reasons why visibility is crucial to your network is a must read for those of you who recognise that real time visibility into network traffic on the LAN and WAN is the essential starting point towards making easier and smarter network decisions. I struggle to understand what is using all of our bandwidth. I am often faced with unexpected bandwidth spikes causing costly downtime. I am concerned that personal social media and video streaming is adversely affecting the performance of our business critical applications. I am fed up with spending my limited budget on accelerating all applications in the knowledge that some of them are the main culprits for slowing down my network. Do you need improved visibility & control of your WAN traffic to maximise user experience & network performance? View our recent webinar and learn how to monitor user experience across devices, provide consistent access to corporate apps from anywhere, create a central policy to assign bandwidth to specific users and devices and assess and fix application performance issues, quickly and easily.